Segregated bike infrastructure. The goal for any true lover of bike culture. 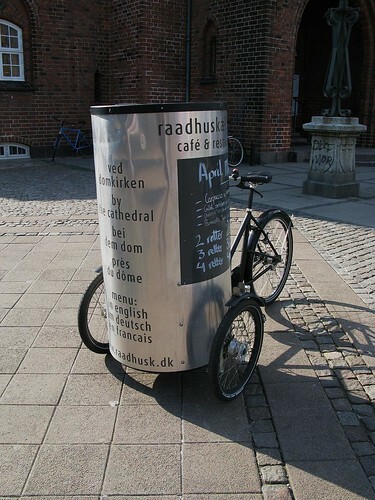 A café in the city of Roskilde uses a Nihola posterbike to advertise. They just park it out on the main square to draw attention to themselves. 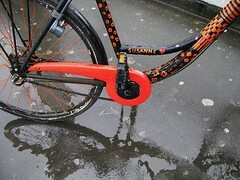 A lovely example of personlising your bicycle. Susanne, whoever she is, swung her paintbrush with love and affection. She parked her bike outside Valby Station. Classic sign, seen all over the nation. 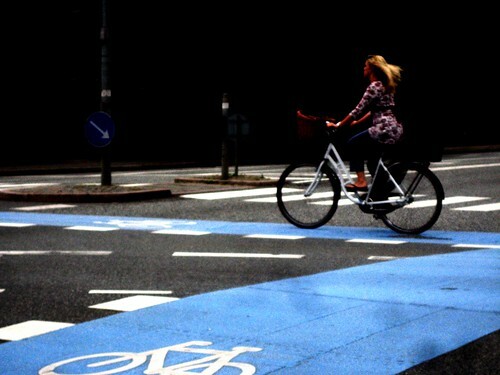 This one is in the city of Roskilde. 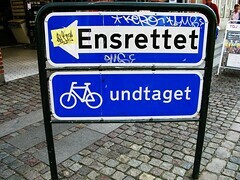 "One Way Street - Bicycles Excepted"